Consumer Cellular apn settings – Step by Step Configuration. 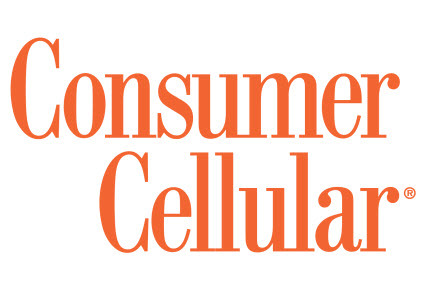 Consumer cellular is mobile services provider that operates under the MVNO (Mobile Virtual Network Operator) mode. It used to only use AT&T infrastructure, however now it also uses T-Mobile Infra. If you are having trouble connecting to the internet or not able to send pictures messages, you should take a look at the APN Settings. These are the most updated / tested working version of the APN Settings for Consumer Cellular. Please do make sure you enter them exactly as they appear, including all characters you see. In case you don’t know how to use the APN information provided above, you can follow these easy steps to program them into your phone. Save, and a Restart is recommend. At this point of time you should be able to enjoy and fast internet connection using your Consumer Cellular Data plan! I created a new APN and entered all the above info except for Authentication type because the only options were None, PAP, CHAP and PAP OR CHAP so I left it blank. Saved and restarted my phone (Samsung J3) but it still is not working. This is very frustrating! Hi Susan, it is not working at all, means you cannot browse any website… do you see the data icon shown up on your screen e.g. 3G, E, etc. I have the same options for Authentication. Hi PapaC… you are not able to get a connection? do you see the 3g, H or 4g icon? I can browse internet. I can send photos through email and messenger, just not texting. My phone is a Samsung J3 that was an AT&T Go Phone new in box. Consumer just supplied the chip. We are having the same issues as Susan with a different Android phone. Browsing, sending photos all other methods except cannot text a photo. which app are you using to text photos? I have “no service” showing there, however I am connected to my WIFI, no 4g, 3g. Even though there is no service, once in a while I get an email update. I have created a NEW APN, still no SERVICE. I have pretty much the same issue as Susan with my unlocked Moto G5+ on CC. The only authentication types available to me on Android 7.0. are None, PAP, CHAP and PAPorCHAP. APN Type is default,mms,supl by default for the phone. I can browse the web and send email including pictures, but can’t send pictures using text and cannot download group messages. Basically, everything works except MMS. MMS will only work when connected to wifi. I have tried the Messages app that comes with the phone, Textra, Message+ and several others. None work with MMS. This is a HUGE problem for me since both my wife and I are very often part of group messages used to organize events. Please help. Hi BinNH, what value is it setup on the APN Type field? I followed all of the steps and still no service. I have a LG Vista 2, what is the problem? Hi Anna, if there is no service you should check whether the sim is active and make sure your phone is unlocked (in case you are using a differnt carrier). For it to work I had to delete ALL of the existing APNs before making these settings. The wacky thing is that my phone (unlocked Moto G5 plus) wouldn’t let me set MVNO type to None. If I did, the APN configuration wouldn’t save. When I tried to save, it would just disappear. I had to set MVNO type to GID to save it, but after I rebooted the phone (which is a necessary step) and looked at the settings, the GID had automatically changed to None. But this WORKED! I can now download pictures and MMS messages even when I am not on wifi now! Wow, Thanks that procedure worked for me also. I can now send & receive emails without being connected to Wi-Fi. Thank you so much, after 3 phone calls to cc and nothing. after reading this 4 mn. it was working. Hi Laura, so glad that you were able to set the APN Settings on your Consumer Cellular network! Thank you! This worked for me!!!!!! You’re welcome! Glad to hear it! This can be a terribly frustrating issue. Happy to be of help. You have one more very grateful person BinNH! Great to hear! This kind of thing can be soooo frustrating! Help BinNH! You seem to be the expert. Lol. I had the same problem with it not saving. I did exactly what you said, and it still didn’t save. I don’t have an option to delete all the existing APNs. It’s literally not an option. Any advice??? You seem to be the expert on this issue. I typed exactly what you recommended, and it still wouldn’t save. The only thing I did differently is that I am unable to delete existing APN settings. Any advice you can offer would be greatly appreciated. My final option is going to Target to speak to a Consumer Cellular rep which I am not hopeful about. Thanks!!! You’re welcome Cheryl! Glad to help and glad it worked for you! Thanks for the info it is very much appreciated. You’re welcome Anjill! Glad it worked for you! When I select Save, everything is erased. Can’t recieve/send pictures. Hi, what do you have on APN TYPE? That’s what happened to me when I had MVNO set to None (see above). Try setting MVNO type to GID (again, see above). I called cc for support and they were useless. This fix worked like a charm on my lg g5. Thanks!!!!!!! I couldn’t send MMS [group] texts from my cell. Tried following Consumer Cellular info above & calling their tech support. Nothing worked. Tech support said last resort would be RESET. I found another WWW suggestion that worked: I turned my WIFI router off, selected a draft MMS to send and it went out immediately. Within min., I had 5 replies. Don’t know yet if I can receive MMS texts with WIFI router on. Blessings to you! I moved my Samsung Galaxy S6 from Verizon to Consumer Cellular (CC) and can no longer send group texts or pictures with texting apps. I can receive both, but not send. Texting in groups is an almost daily need and part of the reason I have a phone. I have called CC customer service multiple times and followed their directions for APN settings, without resolution. My settings are below, can someone identify what needs to be changed, if anything? Thank you! Hi Nathan, did you try the one listed in our post? Thanks for replying. I tried, but the “Authentication type” will not allow me to enter the info shown, I am left only with a choice of either None, PAP, CHAP, and “PAP or CHAP.” There are a number of other parameters that come after which are not shown in your posts suggested list, they are shown in the settings list I included in my first comment. Thank you for your interest in helping! Got this working on my Google Pixel 2XL (Android 9) and I really hope this helps other people: Fill in all the settings like MMSC, and MMS proxy like they list above, MMS port port 80, MCC and MNC were already defaulted to 310 and 410 (respectively) on my phone. NOW THE KEY THING HERE IS… if you have a newer phone you will have “Authetnication Type” and “APN Type”. Where the directions ABOVE per ConsumerCellular say to write ” default, mms” into Authentication type is kinda incorrect. You want to leave Authentication type just BLANK (default) and you can even leave “APN Type” BLANK aswell. Make sure to go into the TOP RIGHT (on my google pixel, might be different for you) to SAVE your APN you just wrote, or else it WILL NOT SAVE!!! You will see, atleast on my google Pixel, the Phone will AUTOFILL the “APN TYPE” to “default,mms,supl,hipri,fota,ims,cbs” or atleat myphone did. And instantly it connected me to LTE and I was able send pictures through text message when prior I was NOT. Thank you so much! This worked for my LG phone. Same problem: No MMS on “imported to CC” Samsung Rugby 4. Just dumped AT&T for Consumer Cellular and the only issue so far was the mms issue with pictures. The settings by BinNH worked like a charm – now all those downloads have, yes, downloaded! Thanks for posting the solution.